摘要: As the data of iiMedia Research showed, in 2017, the scale of Chinese online live streaming users increased to 398 million, with a growth rate of 28.4%. iiMedia Research consulting analyst believes that, at present, the business model of the online live streaming industry is gradually maturing, the industry has entered a new stage of development, and the head platforms establish core advantages by the diversified development. Coupled with the continuous expansion of the base of live streaming users, 2018 is expected to become the best opportunity for the online live streaming industry to list. iiMedia Research consulting analyst believes that, after a shuffle, the online live streaming industry entered “the second half”. With the development of the live streaming industry and the increasing user coverage, the importance of the supervision on online live streaming industry has been strengthened. Therefore, our country needs to strengthen the supervision on the industry, while all enterprises should also give a positive response and seek sustainable development. In the first quarter 2018, livestreaming quiz had a tortuous development, and finally found a sustainable development model. Platforms that regained the right to broadcast livestreaming quiz were limited to older ones, and the quality of the content of livestreaming quiz improved after the revision, reflected in carrying forward positive energy. iiMedia Research consulting analyst believes that, the recession of livestreaming quiz in the eye of a storm indicated that the state has tightened its supervision on the online live streaming industry. Livestreaming quiz is a good attempt to explore innovative gameplay on the live streaming platform. However, after the supervision, the requirements for the content of the platform became higher. For the unauthorized platforms, they should strictly obey the regulations of the industry. iiMedia Research consulting analyst believes that, in 2018, the platforms continued to explore the commercial arrangement of pan-entertainment. Livestreaming quiz found a place in the eye of a storm, but users were mixed because of plug-ins and low-quality questions. Under the condition of the increasingly stringent regulatory industry, various platforms have expressed their attitudes and introduced measures in reaction to the policy. In addition, the head platform strived for IPO to seek opportunities of listing, it might give confidence to online live streaming users. In general, the online live streaming industry continued to seek diversified development of content and explore profit and liquidation models in the first quarter of 2018. The overall public opinion on Chinese online live streaming industry was neutral in 2018 .
iiMedia Research consulting analyst believes that, at present, the profit model of traditional online live streaming platforms is relatively unitary. With the development of the platform gradually matures , each platform also explores new business models based on traditional profit models such as reward and ad revenue ,trying to enhance brand value. As the data of iiMedia Research showed, in 2017,the scale of Chinese online live streaming users increased to 398 million, with a growth rate of 28.4%. It is estimated that the scale of online live streaming users will reach 460 million in 2018 and 507 million in 2019. iiMedia Research consulting analyst believes that, as the user dividend of Chinese online live streaming platform disappears gradually, the head platform has had a stable user scale and operation mode. At the same time, the star streamers are mostly monopolized by the head platforms, and it is difficult for new recruits to have a strong impact on the head platform. In the future, the competition between the head platforms may be reflected in diversified development and business realization. As the data of iiMedia Research showed, in March 2018, In terms of the number of active users of the major platforms of live entertainment in China, Huajiao and Inke were in the top two, and the number was 24.764 million and 13.593 million respectively. iiMedia Research consulting analyst believes that, in March 2018,the ranking of the number of active users of each platform was basically the same as the previous two months and it would keep stable in the short term, the content of the program would be the key of the second half of the competition , and improving the quality of the content, tapping the content of the fractionize domain would be conductive to attract users’sustained attention. As the data of iiMedia Research showed, in March 2018, In terms of the number of active users of the major platforms of online game live platforms in China, Douyu and Huya were in the top two, and the number was 17.595 million and 16.038 million respectively. iiMedia Research consulting analyst believes that, while cultivating the content of online game live, Douyu continues to develop live entertainment, infiltrating variety entertainment , the reality show and other business of pan-entertainment, so as to attract more active users and get ahead of other platforms. Due to the upcoming listing, Huya became a hotspot and the number of active users increased. As the data of iiMedia Research showed, according to user stickiness index of Chinese online live streaming platforms, Huajiao ranked first with 8.38 points, followed by Inke, KK and Quanmin with over 7.80 points. iiMedia Research consulting analyst believes that, the strong user stickiness of head platforms is benefited from business arrangement in the aspect of pan-entertainment. The majority of Chinese online live streaming users are young people, with users under the age of 30 accounting for 79.6%. The marketing strategy of pan-entertainment obviously caters to them. As the data of iiMedia Research showed, the main usage time of using the platforms is steady. The lunch break is a peak period, and it rises sharply after work, remaining at a high level until the wee hours. As the data of iiMedia Research showed, 35.4% of users use online live streaming platform over three times a week, and 8.3% of them use it every day. But there are 39.5% of users using it less than once a week . As the data of iiMedia Research showed, 37.5% of users use the platform in 10-30 minutes at a time, 39.5% of users use it in 30-60 minutes , and only 4.3% of users use it above 2 hours. As the data of iiMedia Research showed, the main purpose of users is relaxation and entertainment with, accounting for 78.3%;Acquiring knowledge and skills is followed by 18.3%;supporting a streamer and watching a game account for 2.4% and 1.0% respectively. iiMedia Research consulting analyst believes that, the usage scenarios and purposes of major users on online live streaming platforms determine the content of it, but in order to cater to different groups, online live streaming platforms still need to continuously upgrade the quality of content and long tail content. As the data of iiMedia Research showed, 54.6% of users are unwilling to tip, and only 12.7% of users made it clear that they were willing to tip. In the aspect of the amount of user contribution, 54.3% of users(who had tipped) tipped less than ￥100. As the data of iiMedia Research showed,63.5% of users tips for the awesome content, 48.1% of users paid for the premium content, and 44.2% of users paid for personal charm of streamers. As the data of iiMedia Research showed, in the first quarter of 2018,the satisfaction grading results of the interviewed users who had used Chinese online live streaming platforms indicated that Huajiao ranked first with 7.80, followed by KK and Douyu with 7.54 and 7.51 respectively. iiMedia Research consulting analyst believes that, high-quality content will become an important trend for the development of live streaming platforms. Fluent and smooth broadcast system supported by powerful technique will become an important tool to retain users. As the data of iiMedia Research showed,72.1% of users are willing to socialize on the platforms, and only 12.5% of users said no. iiMedia Research consulting analyst believes that, the majority of online live streaming platforms are young people, and they have a strong desire to social contact. The platform can enhance the social function and upgrade the social experiences, so as to increase the user stickiness. As the data of iiMedia Research showed,63.9% of users prefer to interact with other users on the platform, 48.1% of users prefer to interact with streamers, and 43.8% of users prefer to gain a sense of superiority by the credits, grades, privileges, etc. iiMedia Research consulting analyst believes that, the social function is popular with users. Introducing it can not only retain users, but also enhance exposure of the platform. As the data of iiMedia Research showed, 66.6% of the interviewed netizens hope that the online live streaming industry could be regulated, but 13.3% of the interviewed netizens hope not. iiMedia Research consulting analyst believes that, the widespread dislocation in the online live streaming industry has a bad influence on the society, especially on minors, and it should be supervised. As the data of iiMedia Research showed, 47% of the interviewed netizens expected that the fluency of online live streaming could be improved, 39.5 of the interviewed netizens expected that there could be more content of verticals of online live streaming, and 37.4% of the interviewed netizens expected that there could be new technologies in online live streaming, such as VR live streaming. iiMedia Research consulting analyst believes that, as the head platform of Chinese online live streaming industry, Huajiao has powerful IP of streamers , high user traffic, high-quality and diversified content. In addition, Huajiao launched and participated in many public-spirited activities, spreading positive energy. The business arrangement of Huajiao could satisfy and stimulate the potential demand for live pan-entertainment, which was conductive to attracting more users. iiMedia Research consulting analyst believes that, as the head video dating mobile live streaming platform, Huajiao leads the live streaming industry by the innovation of “video dating” in the industry model and constructing the Internet friendship ecology for young users. On this basis, Huajiao takes an active part in creating live pan-entertainment content, which can provide full-service for users and meet their needs, thus promoting the quality of live streaming contents. On May 11, 2018, Huya was successfully listed on the New York Stock Exchange. As the first stock listed in the game live industry, the successful listing not only indicates that the capital market has confidence in the game live industry, but also shows that investors are optimistic about the future return on investment. However, although Huya successfully succeeded in the IPO of the NYSE, becoming the first in the game live industry, but it still faces fierce competition in the field of game live industry. Facts have proved that cultivating the development of the industry and create diversified profit model is the key to winning the future. iiMedia Research consulting analyst believes that, KK Live works hard to shape brand image. It created a large amount of "positive energy" content and concept output to positively influence and guide users. On the other hand, under the current situation of market segmentation, KK Live made the vertical live streaming platform, Mile English, which became the highlight of KK's marketing model innovation. KK live adheres to the correct values, strives to create positive, healthy, good internet cultural environment, collaborate with related departments in tightening live streaming contents control. iiMedia Research consulting analyst believes that, under the circumstance of strict industry supervision and ceaseless banning of the platforms, undertaking corresponding society responsibilities benefits further growth of the platform. iiMedia Research consulting analyst believes that, more stringent regulatory environment of live streaming is undoubtedly good for the development of the entire industry. 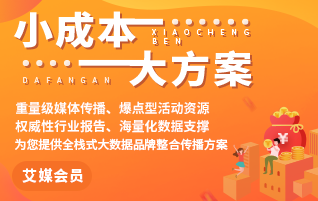 On the one hand, strict regulations protect the head platforms because the streamers and the platforms that spread prohibited contents are often unfamous and have no image concern, their purpose is only making profits quickly, which is harmful to the head platforms seeking for long-term development; on the other hand, strict regulations benefit the entire industry and it will be more stringent in the future. iiMedia Research consulting analyst believes that, with the increase of customer loyalty and per capita disposable income and the development of technology, the form of online live streaming will develop further. There may be VR panoramic live(streamers use a wide angel camera and users watch these shows with VR),online education live(some platforms have launched) , sport live(some platforms have launched) in the future. iiMedia Research consulting analyst believes that, the development of the online live streaming industry has formed a stable and clear business model. The continuous upgrade of mobile Internet technology further promotes the development of the online live streaming industry, which expands the influence of user group, streamer group and the industry. However, as the online live streaming industry matures, some platforms will explore more profit models. For example, game live platforms will expand into entertainment, finance, sport and other verticals to gain profit; live entertainment platforms can make a profit by product placement and the exclusive rights of commercial programming or big events. In the future, each platform will keep on exploring and seek more opportunities to increase profit. Live entertainment platforms gather pace for IPO Develop refined management to boost the confidence of the investors. iiMedia Research consulting analyst believes that, the IPO of Huya brought capital attention to the whole online live streaming industry. Compared with game live, live entertainment platforms has a broader audience and with each platform values content supervision, its IPO will be on the table. In the future, live entertainment platforms will keep on strengthening the management of the content, developing high-quality streamers. At the same time, they will strengthen refined management and improve user experience to boost the confidence of the investors. iiMedia Research consulting analyst believes that, as the development of knowledge economic, the way of online learning is being accepted by more and more people. Besides online language courses Hujiang English and other platforms launched, NetEase Open Course also focus on skills courses, and there are some online courses supported by offline education training institutions. In the future, online education will develop paid content. On the one hand, paid courses that are more about talent and skills can fill a gap in those fields left by knowledge payment. On the other hand, the threshold of online live streaming is lower than that of online education, and more talented, knowledgeable grassroots will choose the former.